I am an interiors and architecture photographer based in Los Angeles. Whether you need images of your interior design project or are thinking about selling / renting your property I can help you with professional photographs and personal customer service. In my work, I love to capture the essence of a space. I believe that through images, people can communicate and promote their work very successfully. 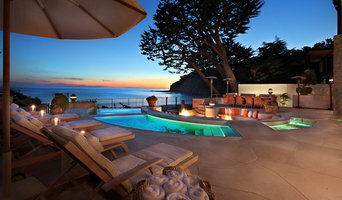 Bill is an architectural, interior and landscape design photographer based in Los Angeles. His work has been published in "Dream House, Los Angeles," Panache, The New York Times, International Wood, Design, Glas, Luxury, Life & Style, Casa Ventana, Southbay Home and Beach. Los Angeles based photographer specializing in Architectural and Interior photography. “Which of my photographs is my favorite? The one I'm going to take tomorrow.” Imogen Cunningham I am an architectural and interior design photographer based in Los Angeles, California. My goal is to make architecture appear beautifully in photographs and to highlight the amazing world around us. I have the experience and ability to make any environment look fantastic whether it's an interior design project, a beautiful home, or a commercial building. 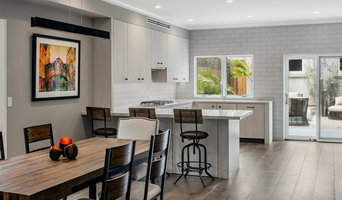 Every home will have key selling points or features to highlight, a professional interior photographer in Long Beach, CA will be able to evaluate and present those features in a way that is truthful yet instantly appealing to viewers. If you live in a top-floor studio or apartment, for example, the focus should be on natural light, views, and the clever use of space. However, for those living in an Indian style independent home, the interior photography will aim to capture the cosiness of the house, the characterful antique details and the abundance of outdoor space. Professional Long Beach, CA architectural photographers vary quite widely in the services that they offer. Some photographers include home staging in their rate, some include editing and some want to come prior to the shoot date to set up shots. Others will not offer these services unless asked or will charge an additional rate. Make sure you ask the photographer beforehand what is included in the cost. If he or she does not offer everything you need, you might want to consider reaching out to other professionals to get the best-finished product. Find an architectural photographer in Long Beach, CA on Houzz. Narrow your search in the ‘Find Pros’ of the website to photographers. You can also look through photos by style to find a room you like, then contact the professional who photographed it.